Connect to cell phones, GPS systems, PDAs, OTG devices and digital cameras by using the micro-USB connection on your computer or other USB device. These cables' small right angle form factor is ideal for today's compact portable devices while easily transferring data or charging your device at a transfer speed up to 480 Mbps. 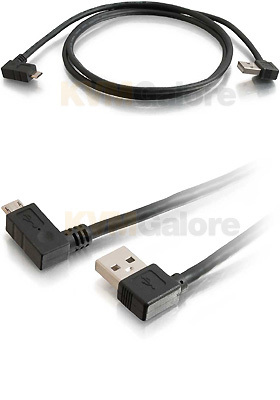 These Right-Angle USB A to Micro-USB-B cables are compliant with USB 2.0 specifications and the On-The-Go supplement.